Yesterday was Dec. 14, a day that was once just another step in the holiday rush. Now, I think of Dec. 14 as a black box on the calendar page, a day that I would burn out of the month if I could, to cauterize the horrible images of what happened on that day last year in Newtown, Conn. 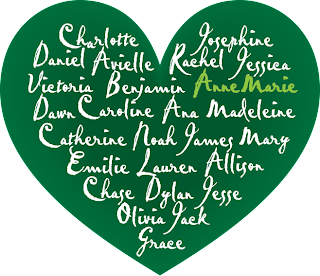 I thought of writing this post as a letter to the families who lost their children at Sandy Hook Elementary School. But what could I tell them? That I hugged my 6-year-old a little closer today? That just seems cruel when they are facing another Christmas with their 6- and 7-year-olds lying in the ground. That I am sorry that we as a nation let them down by failing to to rein in the sale of catastrophically dangerous weapons? It's a failure they know all too well already. That I have thought of them nearly every day in the past year, and cried many times? What is the point? Is there anything to say at all that can possibly help make this anniversary less painful? Or is it better to hold onto this pain as a way of remembering? I don't think that the families would be gratified to know that their children's legacy was to make strangers feel anguish. In the end, I have nothing to say to the Newtown parents, so let's just leave them alone. For me, this anniversary brings up the fundamental struggle to stay sane in this privileged, modern world I live in. Everything around me looks fine, so why struggle to try to change anything? My children are healthy and happy. The odds of them being gunned down at school are so low that it's not something I would waste my time worrying about. I have my work to keep me busy and the dishwasher needs unloading and there's a trip we need to pack for, so why waste time worrying? We know that in reality, everything is not fine. The mental health system in our country is frighteningly inadequate. When I read the chapter on schizophrenia in Andrew Solomon's Far From the Tree this year, it sank in for me how difficult it is for the families of mentally ill people to get them the help they need, and I realized that there are thousands, maybe millions of people out there who could commit acts of violence like what happened at Sandy Hook. Then there's the fact that it is so easy to buy weapons with massive destructive power. The fact that the majority of Americans wanted at least a small improvement in background checks for gun buyers, but that the government failed it accomplish it, made me want to give up on democracy. How can the National Rifle Association and a minority of gun enthusiasts defeat the majority of the electorate in an issue as important as safety? How can the country where I live place itself so far outside the norm in the democratic world? When Newtown happened, my cousins were visiting from Australia, and they just could not understand why Americans were so adamant that we should be able to own any guns at all, much less a semi-automatic rifle that can pump out 45 rounds per minute, like the Bushmaster Adam Lanza used to shoot his way inside an elementary school and murder 26 people. When I was a college student, I worked for a short time as a canvasser for Greenpeace. I would knock on people's doors on cold winter evenings, and feel amazed that most of them could sit in their homes, so complacently, while the paper industry was dumping PCBs into Lake Michigan and the hole in the ozone was growing. Then eventually I became overwhelmed with the constant rejection, cold winter walks and low pay of working for Greenpeace, and of course I came to understand that even if its goals were noble, I was engaged in a propaganda and fundraising machine. I gave up on trying to change the world and joined the majority of Americans in just trying to live in it. To keep on living, without being tempted to throw your life into a frenzy of do-goodism, you have to shut out the news that everything isn't fine, most of the time. You have to limit the amount of time you spend thinking about climate change or about how insane people are walking around without treatment and with access to semi-automatic weapons, or the fact that a child is shot to death in our country every day or two. But if we do this, how is anything ever going to get better? In the end, instead of writing a letter to the Newtown parents, I decided to listen to what they have to say. After standing beside President Obama during the failed gun control push in Washington, it seems that a year later the Sandy Hook parents have downgraded their wishes about guns in America to "gun safety initiatives." It seems like they have moved on to trying other things. One victim's family started a Web site called Newtown Kindness, dedicated to teaching children compassion and encouraging acts of kindness. 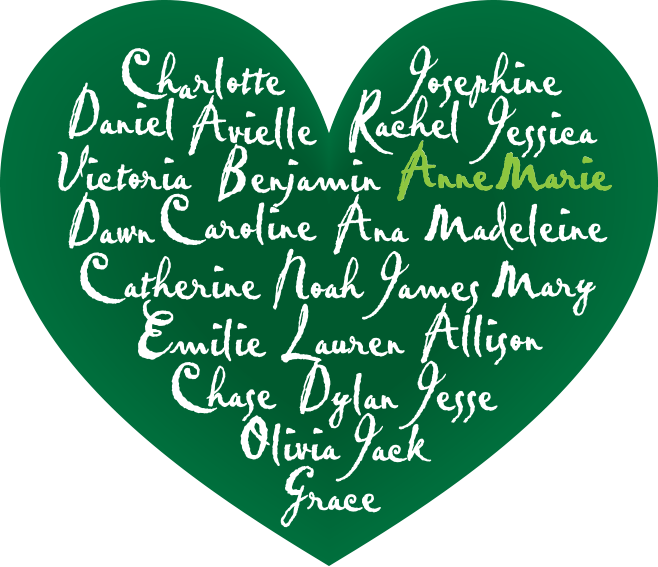 My Sandy Hook Family asked that we channel our grief for their children into performing acts of kindness. Do something nice? It doesn't feel like enough when what you really want is to excise from the the world the kind of evil that would slaughter first-graders in their classrooms. Kindness. OK, we can do that. By coincidence, the new Girl Scout troop that I helped start this year was participating in a program called To Kids for Kids, which provides holiday gifts to foster children. With help from their parents, our girls baked cookies, brownies and cupcakes, and stood outside in a chilly (for California) afternoon for two hours and sold them to passers-by. They earned a whopping $185, which they used to purchase carefully selected Lego sets, craft kits and games for the foster kids. 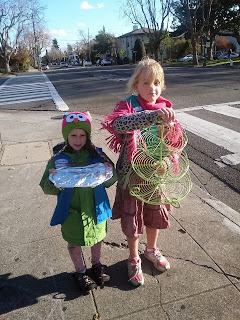 Saturday, Dec. 14, happened to be the day they delivered the gifts they had purchased. My 9-year-old still doesn't know about Newtown, so I didn't tell them they were participating in a national day of kindness to honor dead children. But I did hug them extra-tight as they went out the door to make their delivery. Is this helping? I don't know. I don't think my daughter or her troopmates would have grown up to become murderers if we hadn't taken the time to guide them through this act of kindness. I don't think the Lego sets that they bought will save the foster kids from a life of crime. And I still want better background checks and fewer dangerous guns in circulation and better care for the mentally ill. It's always awkward to meet someone who has suffered a great loss. What can one possibly say beyond, "I'm sorry"? In the end, I guess all I could say if I met one of the Newtown parents today is, "I heard you. I will try to add kindness to the world. Kindness and gun control, if possible. But the kindness, I can deliver today."